Through October 31, 2017. Happy birthday, Curious George! In celebration of this lovable, mischievous monkey, Green Acres Farms has designed a ten acre corn maze dedicated to the 75th anniversary of this little character. 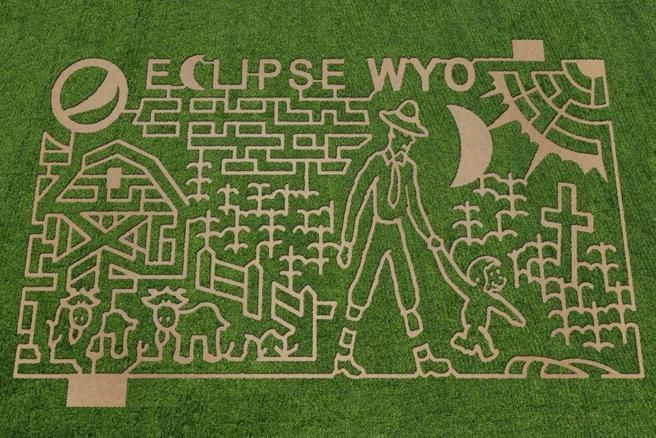 Located just outside of Casper, Wyoming, this farm has lots to offer besides the corn maze with a petting farm, pumpkin cart rides, apple cannons, a corn pit, a hay bale maze, mining for gems and arrowheads, and more. Visit Curious George and the Man with the Yellow Hat at Green Acres Corn Maze!